DRIVING AMBITION: Jim McMahon, Oldham Council Leader, launching ‘Warehouse to Wheels with Richard Weston, Mantra Learning Limited’s Marketing Manager. WELCOME back after the summer recess. I do hope you had an enjoyable summer whatever you did – even if you didn’t take a break. Firstly, I’d like to say a HUGE well done to all of our local A Level and GCSE students who received their results this month. I checked in to see how our students had got on and I know this was a particularly challenging year for all involved. This is a constantly changing system but I know that for each and every student, family and member of teaching staff involved these results meant the world. This week I wanted to share an exciting new programme we are delivering for the people of Oldham. It’s called ‘Warehouse to Wheels’ – and does exactly what it says on the tin. We offer those people currently working in warehousing jobs the chance to get a LGV truck licence. This is an industry projected to grow by 20 per cent in Oldham with an additional 1,800 jobs set to be created as the borough grows. Some people may be snobbish about that but I strongly believe in the power of work and the role that government should play in helping those who do their bit and just need a ‘hand up’ to do even better. What sits behind this scheme is worth talking about. Yes, it is about making a difference to the 40 professional drivers we hope to produce here but it is also about testing that we are making a co-operative difference for real. Often governments nationally and locally focus on fixing problems, but innovative councils are using public money wiser. They do that by investing in what professionals will call ‘resilience’ and what I call supporting people to get on in life and do better for themselves and families – leaving them in a stronger, more secure position. I was also delighted that Mantra Learning Limited won the tender to deliver this programme for us. Not only are they an industry leader who work with the Road Haulage Association and the GM Chamber of Commerce, but they are also an Oldham company based on Greengate. The added benefit for those taking part in this scheme will be an NVQ in Road Haulage and, perhaps for some, even more. As a country we spend millions on out-of-work benefits and the whole system of ‘back to work’ programmes has a fundamental flaw in that it is only interested in getting unemployed people off Job Seekers Allowances. What is less considered is the quality and security of employment that someone has taken up. That’s very short-sighted and it is little coincidence that there is a constant churn where far too many people are caught in a cycle of low pay, no pay employment. So, you might be asking, why aren’t we focusing on those out of work who are being let down by this system? The short answer is that we are. Our Get Oldham Working programme has already seen more than 1,100 people helped into secure employment, training and apprenticeships aimed at giving job seekers real skills and experience and a real job. The proof is there too – we have the largest decrease in unemployment across Greater Manchester. We’ve also completely reviewed the way we employ staff which now means that entry level jobs are reserved for Oldham residents, and we also insist contractors working on our behalf take on local people. Coupled with the new Education and Skills Commission we are looking at how we spend the many millions of pounds each and every year in education and training to see how we can get the best possible return for this investment: confident and productive people. With that work making progress it is vital that we look to support those people who are going out to work every day to provide for themselves and their families. With a little investment we could reduce the chances of that person appearing as a ‘problem’ in the future, which in turn may cost many thousands of pounds. I also think it sends an important message out that here in Oldham to collect your ‘dividend’ you have to make a contribution. So what’s the deal? 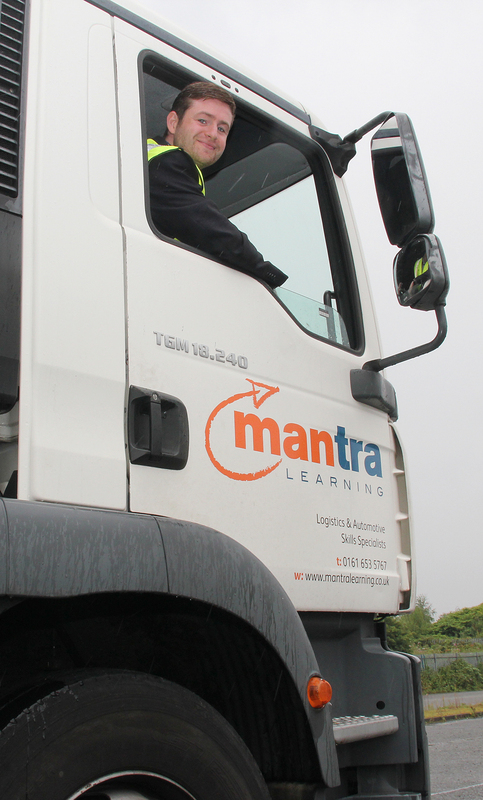 If you have a good work record and your employer will support you we will pay for your LGV lessons and driving test. For a small investment the return has the potential to be huge. On average a warehouse worker in Oldham will earn £18,000 a year. An LGV truck driver will earn around £25,000 a year, even up to £35,000 with more specialist training afterwards. That £7,000 a year of additional income can potentially be life changing. It will mean it will pay to work and, just as importantly, give people access to a new type of job where demand for drivers is high. Over an average working life (25 years) that could mean an additional £148,000 of income earned, which is enough to buy a decent home in a decent area. If you are interested in finding out more about the Warehouse to Wheels scheme, then click here for full information. Innovative councils across the country are trying out new ideas like this. Some will work, others might not, but for the small investment we could change lives and that’s surely why we are in public service in the first place. Finally, I am currently working on an annual report to council to be delivered in September. This is a rare chance to step back and reflect on what has been achieved, plus the continuing challenges and opportunities that lie lay ahead. There’s no doubt that trying to create a positive future in these extra challenging times is hard work, but it is also a great privilege too. I’ll report back on this in a few weeks.